Have You Been Missing Zzzzzs? Fighting insomnia becomes scientific with carefully engineered mattresses like Sealy Posturepedic. The advertising, “Get a better 6,” absolutely speaks to your desire to grab a solid 6 hours of sleep even thought that’s generally still a bit short of the 7 to 8 recommended. But if you struggle with insomnia, 6 hours of sleep could be unreachable until now. The ultimate goal of a Sealy mattress is to give you a sleeping surface that is specially fitted to your body’s contours and addresses specifically your sleep problems. Elimination of disruptive waking due to discomfort and pain is primary. 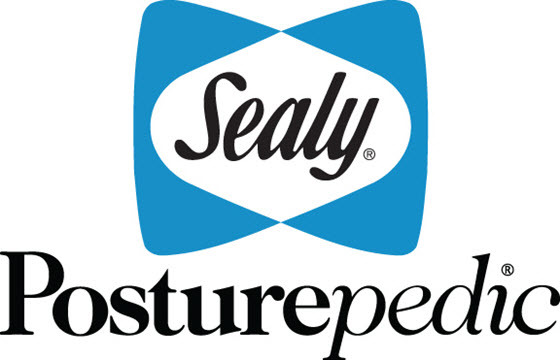 Sealy’s Posturepedic line is specially crafted for performance sleeping: you get zonal comfort, a range of materials that may layer traditional high-end inner springs with memory foam, and an enviable array of comfort levels from firm to ultra-plush. Models with an inner latex core in place of springs almost guarantee that “better” 6 hours of sleep. Latex mattress layers are mold-poured and flash frozen to preserve the resulting cellular form that provides a luxurious level of “pressure-point” support. In fact, the Posturepedic line is strong on making the mattresses address sleep discomfort by addressing the body’s pressure points. Apply appropriate support to areas affected by the most physics and you automatically alleviate sleep disruption. Preferred Series is a budget model mattress with a traditional inner spring coil foundation and available with a traditional foam or pillow top. You still get attention to comfort zones. Mattress thickness is 10 inches. Reserve Series marries the traditional inner spring mattress foundation with a memory foam layer at the hip region for more advanced relief and comfort. Mattress thickness is 12 inches. Signature Series is a sophisticated combination of inner spring coils, memory foam AND latex. Here is a complete attention to customized zonal comfort: a zone of memory foam is packaged into the mattress under your shoulders and neck, while a layer of latex is built-in under your hips. Mattress thickness is 13 inches. PurEmbrace models are a straightforward latex mattress that promises a state of the art sleep experience. Sealy’s “Smart” latex is specially manufactured to “eliminate” sleep discomfort based on your body’s pressure points. TrueForm mattresses are made of memory foam technology in combination with other Sealy mattress technology. Posturepedic provides unsurpasssed back support from their interspring technology. Optimum combines back support with cooling comfort.